HONOLULU — New Automated Passport Control (APC) kiosks are now in use at the Honolulu International Airport Customs Facility. The Hawaii Department of Transportation (HDOT) announced the self-service kiosks are part of the effort to expedite the entry process through U.S. Customs and Border Protection (CBP) for eligible travelers while creating a positive customer experience. On average 7,000 international passengers arrive in Honolulu daily. Since the 32 APC kiosks came online February 29, 2016 processing times have been reduced by 35-45 percent, saving people 5 to 15 minutes in line, while continuing to maintain the highest level of safety and security. Eligible passengers are processed through U.S. Customs and Border Protection’s Primary Inspection area. They include United States, Canadian and eligible Visa Waiver Program international travelers who have visited the United States on at least one occasion after 2008, visitors traveling on a B1 or B2 Visa (temporary visitors) and lawful permanent residents. The APC will guide passengers through easy to follow instructions using a touch screen machine that will ask a series of questions beginning with the preferred language. Passengers will be asked to verify biographic information and complete an electronic Customs Declaration. The machine will scan the passenger’s passport and fingerprints and take a photograph of the individual. A receipt will then be issued, which the traveler must present to a CBP officer to finalize their inspection. 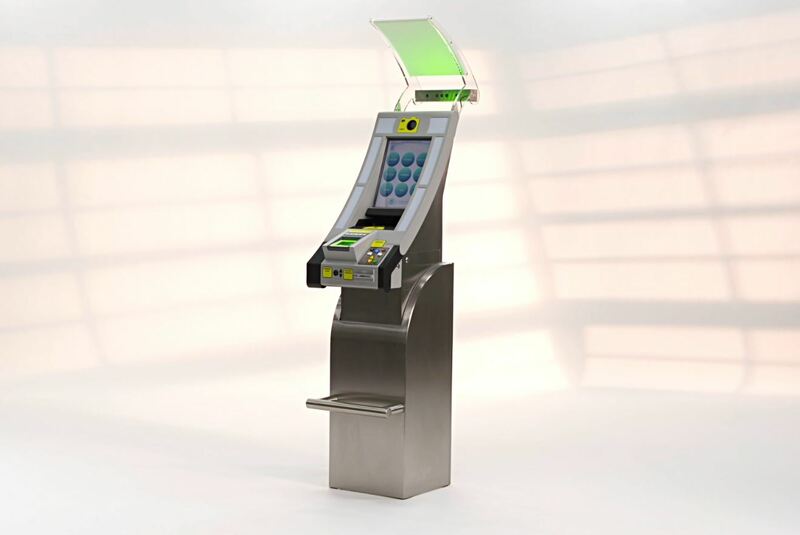 The entire process utilizing an APC kiosk should take about one to two minutes. Families living at the same address will be processed together. The reduction in wait times for incoming international passengers is also improving airport efficiency and helping international flight operations stay on schedule. Since the APC activation, the number of gate holds to Honolulu International Airport has decreased by 55 percent compared to the same time last year. A gate hold occurs when inbound passengers must wait on the plane because the international arrivals room is full of people waiting to be processed. The APC kiosks are helping prevent the arrivals room from reaching capacity. The APC is a free service that does not require membership or pre-registration. The cost for equipment and installation of the 32 machines is $1.7 million paid by the HDOT Airports Division.